Sometimes, when you are out adventuring, a cumbersome longsword can get in the way or even throw you off balance. The Farin LARP Short Sword makes the perfect weapon for any fantasy hero, serving a purpose while also being easy to carry. This fantasy LARP weapon is made from specially designed latex-free, injection-molded foam with a strong fiberglass core. This core ensures that the weapon is durable and flexible while still remaining safe for use in LARPing, theater, staged events, and more. The blade of this sword features a beautiful wasp waist, and its pommel matches that beauty, taking the shape of a flower about to bloom. 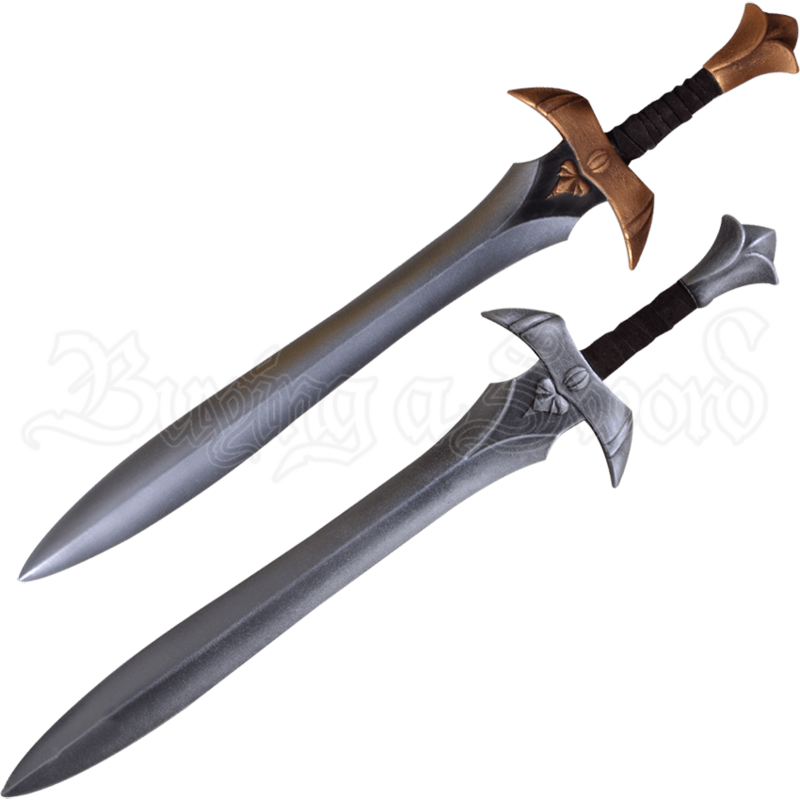 The quillons of the sword arc toward the blade, giving it a distinct fantasy look, and the ricasso is decorated with a spade-shaped symbol. 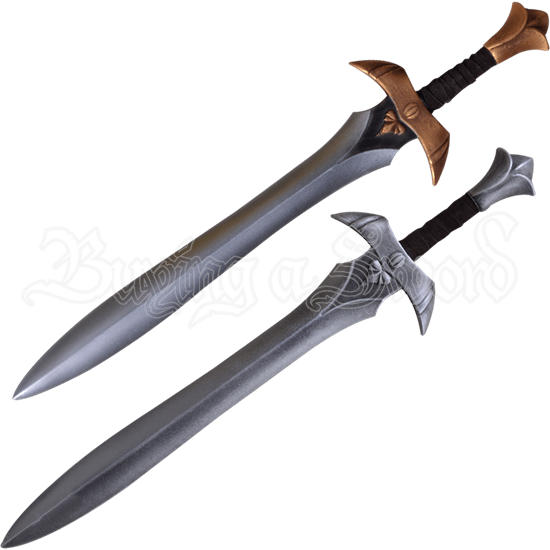 The sword hilt comes in two distinct colors - steel and gold - and features a leather wrap for easy gripping. For any adventurer looking for a sturdy, dependable companion to accompany them on their adventures, the Farin LARP Short Sword is just the thing!